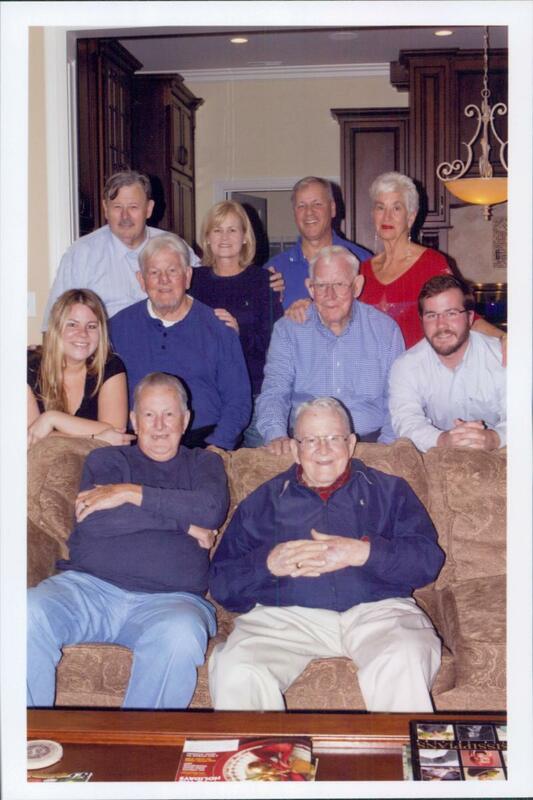 Courtesy of Joseph T. Lyons Jr.
First row L-R: Bobby Lyons, Billy Lyons-Second Row L-R: Billy's grand daughter Elizabeth Strahan, Jimmy Lyons, Steve Lyons, grand son William Strahan-Third Row L-R: Joseph Lyons, Billy's daughter Susan Lyons Strahan, Greg Strahan, Barbara Cvitanovich Lyons. John Christian Lyons (1890-1950) was born on July 3, 1890 at Mississippi City, Harrison County, Mississippi the youngest of the eleven children born to Thaddeus Lyons (1845-1924) and Louise Marie Fayard (1848-1905), both native of Mississippi. John’s parents married circa 1867 and were the parents of ten surviving children: Rosetta Lyons (1872) m. Phil A. Englehardt; Cora Lyons (1878); Walter J. Lyons (1880-1953) m. Lottie Cruthirds (1889-1973); Oscar F. Lyons (1880-1937) m. Clara Albrecht (1872-1939); Eugene Lyons (1882); Edmond Lyons (1884) m. Mattie Taylor; Emma Lyons (1886-1969) m. Edward John Hosch (1898-1968); and John C. Lyons (1890-1950) m. Adelaide Peresich (1897-1943). John C. Lyons made his livelihood as a sailor and fisherman. In 1930, the family was domiciled in Biloxi, Mississippi at 217 Elmer Street. By 1940, the Lyons clan was living at 460 Lee Street. 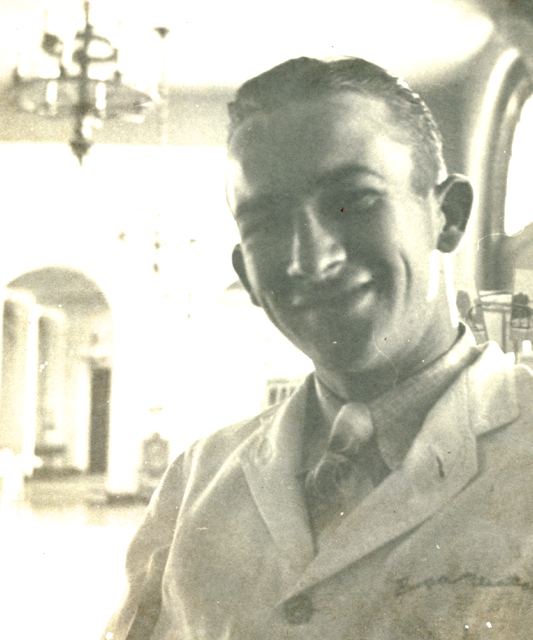 Joseph Thaddeus Lyons (1914-1945) was born at Biloxi, Mississippi on November 18, 1914. He married Esther Amelia Ryan (1919-1973), the daughter of Frederick ‘Mickey’ J. Ryan (1886-1943) and Amelia Florence Domning (1889-1954), and a native of Ocean Springs, Mississippi. They were the parents of Joseph T. Lyons Jr. (b. 1944). After the demise of Joseph T. Ryan, his widow married Standish Bradford (1914-1992). Joseph T. Lyons graduated from Biloxi High School in 1933. He played football in high school and following graduation officiated high school football games and wrote sports for The Daily Herald. Mr. Lyons first job was as a bookkeeper with the Watson Insurance Agency. He later was the manager of the bond and casualty department for the Watson Agency, as well as its vice president. Eugene Peresich Sr., his grandfather, was the president. Captain Joseph T. Lyons while serving with the 3rd Army was killed in action in Luxembourg during WW II. His corporal remains were interred in a military cemetery in Europe. Matthew ‘Matt’ Peresich Lyons (1918-1999) was bornon December 29, 1918, in Biloxi, Mississippi. He died suddenly on June 23, 1999, near his home in Gulfport, Mississippi. Matt was survived by his lovely wife of eleven years, Mary Huth "Pudge" Lyons (1924-2007); sons, Matt G. Lyons and his wife, Gloria, of Biloxi, and Dr. A. Gordon Lyons and his wife, Mary King, of Jackson, Mississippi; daughter, Mary Paul Soares, and her husband, Herman Soares, of Ocean Springs, Mississippi; George Huth and Rita Huth of Daphne, Alabama, Bobby Huth and Janet Huth of Wilmington, North Carolina, Marcia "Missy" Huth of Chapel Hill, North Carolina; 14 grandchildren, Vara Lyons, Phillip Lyons, Sarah Danielle Soares, Jonathan Huth, Christie Huth, George Huth Jr., Ryan Huth, Jarred Huth, Nicholas Huth, Maryanna Huth, Michael Huth, Jonathan Huth, Molly Huth, Daniel Huth; brothers, Kenneth J. Lyons, Robert G. Lyons, William R. Lyons, James Lyons, Stephen Lyons and numerous nieces, nephews, relatives, friends and co-workers. 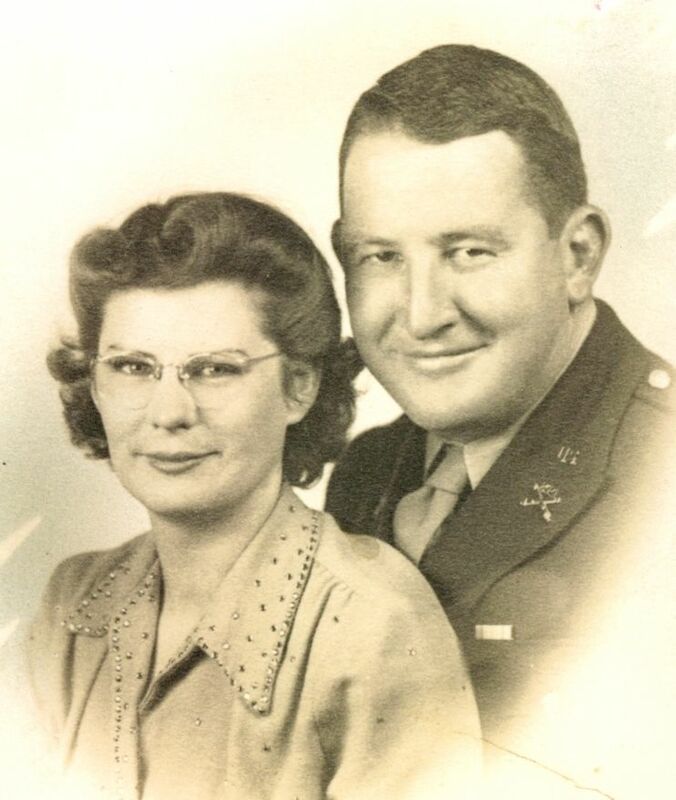 Mr. Lyons was preceded in death by his parents, John Christian Lyons, a Biloxi fisherman, and Adele Peresich Lyons, a Biloxi housekeeper; Vara Brown Lyons, his wife of 35 years; his brothers, Maj. Joseph T. Lyons, John E. Lyons; and his sister, Marie Lyons Stewart. Matt was a well-known member of the community, beginning work at an early age selling his mother's pralines at area hotels, then rising from elevator-operator to General Manager of Biloxi's Buena Vista and White House Hotels where he was employed from 1935 to 1957, becoming President of the American Hoteliers Association, with his lifelong work in the Coast's tourist industry interrupted only by his service as an Intelligence Officer in WWII working on security for the Manhattan Project; from 1957 to 1977 he was Executive Director of the Biloxi Housing Authority. From 1978 until recently he was employed at the Broadwater Beach Hotel, operating one of the hotel's golf courses and later in group sales. Mr. Lyons was President of the National Association of Housing and Redevelopment Officials, President of the Biloxi Rotary Club and the Biloxi Chamber of Commerce, President and founding member of Our Lady of Fatima Parish Council and the Biloxi Development Commission, board member of the Elks Lodge 606, Biloxi Jaycees, Lions Club, the United Way, the March-of-Dimes Fund Drive, the Heart Fund Drive, Biloxi's (Yankie) Stadium Drive, Gulf Coast Mardi Gras, the Save the Ship Island Fort Foundation, the Gulf Coast Coliseum and Convention Center Drive, Nativity BVM, Fatima and St. James Parishes' Holy Name and St. Vincent De Paul Societies and many other civic, church, family and public-interest groups. Mr. Lyons was an accomplished athlete and avid golfer, having participated in the Pacific Olympics during WWII, on numerous Mississippi State Fast-Pitch Softball championship teams, USGA Senior Open Qualifying Events, the MSGA's Mississippi Amateur and as Low Amateur in the PGA's Magnolia Classic in 1972. The legacy of Mr. Lyons' broad and varied work is seen in today's Gulf Islands National Seashore Act and the Federal Emergency Management Act (FEMA) for which he organized testimony and support with the offices of Senator John Stennis and Congressman William Colmer following his experience as a Civil Defense director after Hurricane Camille. He was the author of the "Together We Build The Gulf Coast" effort following Camille and the new "Beachcomber" Line operated by Harrison County's Coast Transit Authority. He worked with renowned planner L. Bisso in authoring the initial Biloxi Zoning and Planning Code of Ordinances. His work with neighbor and Resident Agent Warren Toole during the 1960s was known only by those who worked for the well-being of the entire community and the rights of all. Mr. Lyons' groundwork was seen in the presence of numerous public improvement (Biloxi's Stadium, Pringle Center, Community Center, Our Lady of Fatima Church and School, the Convention Center, and others) and housing for the poor and the elderly (Back Bay Place, Beauvoir Beach, Bayou August, West End and East End Homes) for which he worked under the tutelage of Biloxi Mayors Daniel D. Guice, Laz Quave, Jerry O'Keefe and civic leaders, John T. Collins, Leo Crapo, Frank ‘Yankie’ Barhanovich, Monsignors O'Connell, Hession and Williams, among many others. Mrs. Stewart was preceded in death by her husband, Clarence ''Zeke'' Stewart; two brothers, Joseph T. Lyons and John ''Speedy'' E. Lyons; and her parents, John C. Lyons and Adelaide Peresich Lyons. She was survived by three daughters, Anne Stewart of Memphis, Marydell Slaver of Knoxville, Tennessee, and Lois Stewart of Biloxi; four sons, Perry Stewart of Capistrano Beach, California., John Stewart of D'Iberville, David Stewart of Diamondhead and Donald Stewart of Biloxi; five brothers, Matt Lyons, Billy Lyons, Kenny Lyons, Bobby Lyons, Jimmy Lyons, and Steve Lyons, all of Biloxi; three grandchildren; and two great-grandchildren. 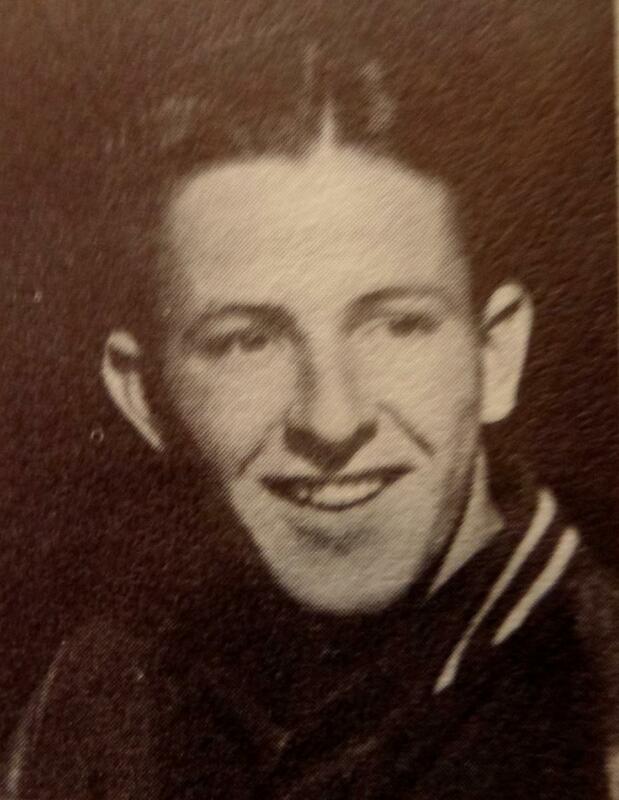 William Rudolph "Billy" Lyons (1925-2015) passed away on October 11, 2015 at the Carmel Home in Owensboro, Kentucky, where he has resided since May, 2010. He had been a longtime resident of Biloxi, Mississippi. Visitation will be held at the Nativity BVM Cathedral, 870 Howard Avenue, Biloxi, Mississippi, on Thursday, October 15, beginning at 9:00 a.m. with funeral mass services immediately following at 11:00 a.m. The burial will follow at Southern Memorial Park. Bradford O'Keefe Funeral Home, Howard Avenue Chapel is in charge of arrangements. 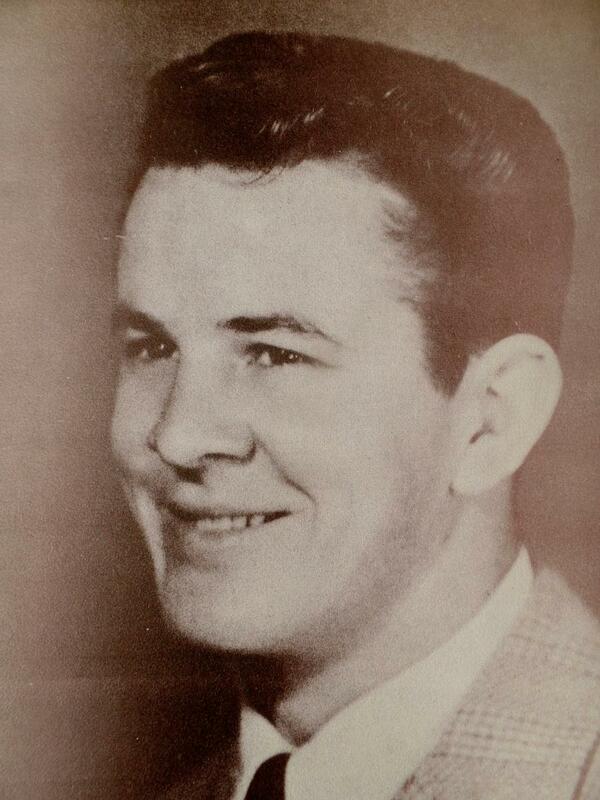 Billy Lyons was born on October 20, 1925 in Biloxi, Mississippi, to John Christian Lyons and Adelaide Peresich Lyons. He was one of nine children. 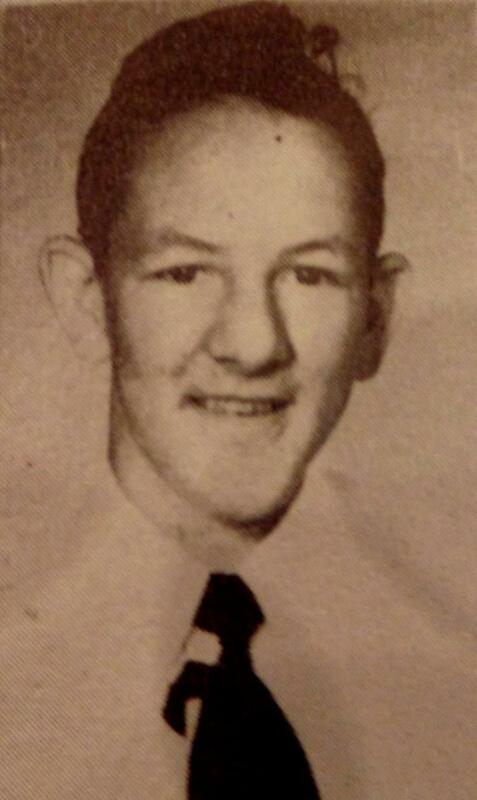 Billy graduated from Biloxi High School (BHS) in 1947. While at BHS, he was a member of both the boxing team and the football team, served as editor of the "High Tide" student newspaper and was voted "Mr. Biloxi High School". Billy served in the Merchant Marines from 1943 – 1946 during World War II, stationed off the coast of the Philippine Islands. During the Korean War, from 1950-1954 he served in the U.S. Army, stationed in Germany and France. Following active duty, he served as a captain in the Army Reserves until 1965. On July 6, 1950, he married the love of his life, Joy Branson, of Sylvia, Kansas, in Frankfurt, Germany. Joy died in December, 1982. They were married 31 years and had three children: Carol Anne (m. Steve Halliburton), Michael, and Susie (m. Greg Strahan). Billy attended the University of Kansas and graduated in 1958 with a Bachelor's Degree in Business. While at KU, he served on the boxing team, was President of the Veteran's Student Organization and was named to Who's Who in American Colleges and Universities. Following graduation, Billy was recruited by John Hancock Insurance Company for their management training program in Philadelphia, Pennsylvania. He managed John Hancock offices in St. Louis and Kansas City, before joining Massachusetts Mutual Insurance Company in Kansas City and managing their offices in Kansas City and Mobile. In 1967, he purchased the Watson Insurance Agency in Biloxi, from his uncle, Gene Peresich, and served as owner/operator of the Watson-Lyons Insurance Agency until 1974. As a local business man, he was a member of the Biloxi Businessmen's Club and the Chamber of Commerce. Billy was employed briefly by Ingalls Shipyard, before starting his own company, King of the Hill Productions, pioneering delivery of closed-circuit telecasts of world championship boxing events. The championship fight featuring Sugar Ray Leonard and Tommy Hearns was a highlight for the company. Billy's success in promoting and setting up boxing events led to his involvement with the Biloxi Jets, a minor league basketball team. As director of group sales, he led the league in ticket sales, doubling average sales records. Appointed by Governor Kirk Fordice, Billy served as State Athletic Commissioner from 1992-2003, providing licensure and oversight of boxing and wrestling events for the state of Mississippi. During his tenure, the Mississippi Athletic Commission raised millions of dollars in revenue surpassing Atlantic City and second only to Las Vegas in quality and revenue-producing boxing events. His work with the Commission was featured in various boxing magazines and "Sports Illustrated". Bouts featuring boxing greats, such as: Larry Holmes, Oscar De La Hoya, Roberto Duran, Tommy Hearns, Mike Tyson, Roy Jones, and Laila Ali were televised on major sports networks, including: ABC, ESPN, Showtime, HBO, and Fox. As much as he enjoyed his paid employment, his favorite activities included charity and community service. He was a proud member of the Biloxi Elks Lodge #606, where he served as exalted ruler in 1991-92. He chaired the Thanksgiving/Christmas Basket Committee and the Elks Charity Golf Tournament for several years and was named Elk of the Year in 1983. For many years, he served on the Harrison County Development Commission, an organization promoting economic and community development. He was a member of many civic and service organizations throughout his life and was named Biloxi's Outstanding Citizen in 1978. He was active in Our Lady of Fatima Church, serving on committees for the annual bazaar and Christmas tree sales, as well as the Knights of Columbus. Later, when he moved downtown, he became an active member of the Nativity BVM Cathedral. At Nativity, he was a member of the Rosary Society, the St. Vincent de Paul Society and an usher for Sunday Mass. Since May 2010, he resided at the Carmel Home in Owensboro, Kentucky, where he attended daily mass and was a member of the Rosary Society. Billy Lyons lived his life to the fullest with a true commitment to faith, family and community service. He traveled the world, but was always a proud ambassador for the state of Mississippi, and especially the city of Biloxi, calling it "America's Best Kept Secret". His positive spirit, sense of humor, and zest for living will be missed by all who knew him. Billy Lyons was preceded in death by his parents, John Christian Lyons and Adelaide Peresich Lyons; his beloved wife, Joy Branson Lyons; his sister, Marie Lyons Stewart; and his brothers, Joseph Lyons; John "Speedy" Lyons; Matt Lyons; and Kenneth "Jerome" Lyons. 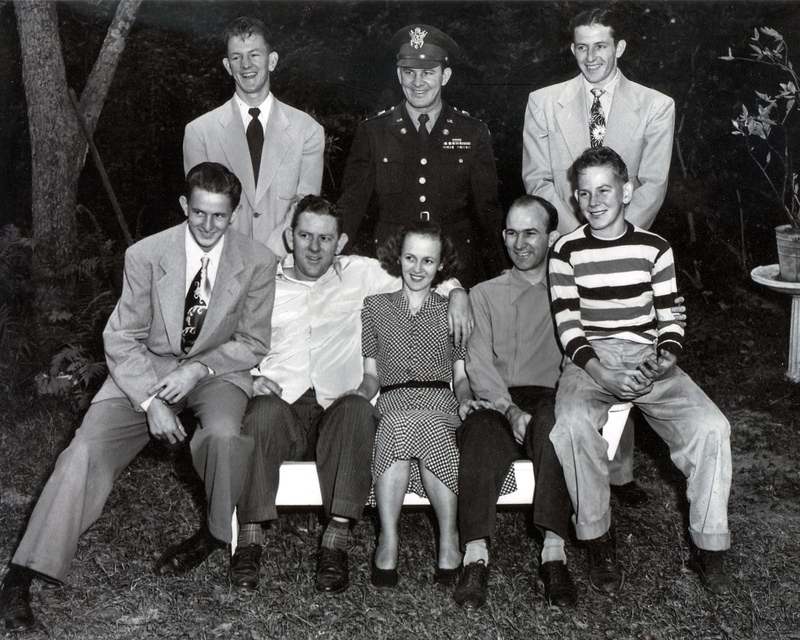 He is survived by his three children -- Carol Lyons Halliburton of Jackson, Mississippi; Michael Lyons of Houston, Texas; and Susie Lyons Strahan of Owensboro, Kentucky; his brothers – Eugene "Jimmy" Lyons, Robert "Bobby" Lyons, and Steve Lyons of Biloxi; his grandchildren – Kristy Strahan Compton, Rudy Strahan, Elizabeth Strahan, William Strahan, Katie Lyons, and Bryce Lyons; his great grandchildren – Branson Ellis, Peyton Ellis, Grace Ellis and Scott Compton; and various nieces and nephews. Cathedral rector Father John McGrath said Lyons is a special person. A lifelong Biloxian, Lyons, who will turn 85 in October, is one of nine children – eight boys and one girl and countless grandchildren. Lyons, whose wife, Joy B. Lyons (1927-1982), died 25 years ago, has three children. His oldest daughter lives in Jackson, his son lives in Houston and his youngest daughter, with whom he will be staying, lives in Owensboro, Kentucky. While he looks forward to being with is daughter, Lyons said he will miss Nativity Parish. Lyons was a Merchant Marine during World War II and later joined the Army. Following his stint in the Army, Lyons carved out a career for himself in the insurance business selling life insurance and general insurance. He was also state boxing commissioner for 13 years. Through the years, his devotion to Nativity Parish has never wavered. While he wore many hats during his time at the cathedral, Lyons said what he most enjoyed was serving the needy through the St. Vincent de Paul Society and he plans to remain active with St. Vincent de Paul once he moves to Kentucky. Nor has Lyons wavered in his devotion to the Blessed Mother. Every morning before Mass, Lyons prays before the statue of the Blessed Virgin Mary in the cathedral’s Marian Chapel. “I’ve been to Lourdes and I’ve seen the miracle of the Memorare several times,” he said. Following Mass, the celebration moved across the street to the Old Biloxi Schooner Restaurant where Lyons was presented a prayer book from the St. Vincent de Paul Society. After a chorus of “For He’s A Jolly Good Fellow”, Lyons and his friends said so long for now but, make no mistake about it, this wasn’t a goodbye because Lyons will definitely be back to visit his Nativity family. “Oh yes, I can’t stay away from Biloxi,” he said. 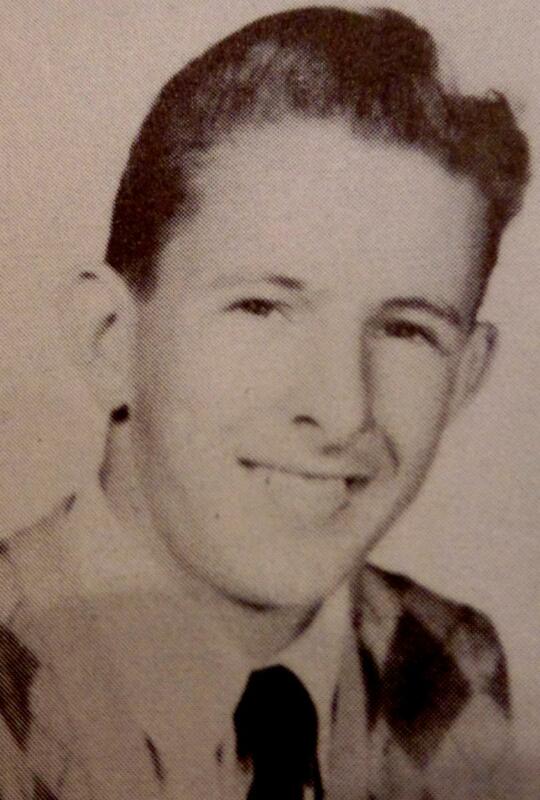 Kenny graduated from Biloxi High School in 1948 after lettering in football and after serving two years in the United States Navy. He worked thirty-one years as a letter carrier for the U. S. Postal Service in Biloxi and ten years with the Veterans Administration Hospital before retiring in 1987. Kenny was an outstanding football and softball player. He served twenty years on the City of Biloxi Recreation Board, 10 years as a little league coach, twenty years as a high school football official, and he was a member and three term president of the Notre Dame High School Booster Club. Kenny J. Lyons and his wife, Germaine, were proud parents of four sons, Kenneth J. Lyons Jr., Thomas Wayne Lyons, Patrick Joseph Lyons, and Barry Stephen Lyons. They were proud grandparents of six grandsons, Patrick J. Lyons Jr., Kenneth J. Lyons III, Joel, Nathan, Jeremy, and Thomas; and two granddaughters, Avon and Danielle. He was preceded in death by his wife, his parents, and one son, Patrick Joseph Lyons Sr., as well as three brothers, Joseph T. Lyons, John "Speedy" Lyons, Matthew P. Lyons, and one sister, Marie Lyons Stewart. He was survived by his sons, Kenneth J. Lyons Jr. and his wife, Barbara Brown Lyons, of Nashville, Tennessee, Thomas Wayne Lyons and his wife, Debbie, of Kennett, Missouri, and Barry Lyons of Biloxi, Mississippi, as well as four brothers, William "Billy" Lyons, Bobby Lyons, Jimmy Lyons, and Steve Lyons. His family wishes to express their gratitude and thoughtfulness to the Biloxi Community Living Center and Odyssey Health Care, doctors, nurses and staff who provided loving care and comfort to him. South Mississippi lost one of its leading sports figures Friday with the passing of Kenny Lyons Sr. Lyons, 81, began working in the cafeteria in the Biloxi VA before retiring as a mail handler for the U.S. Postal Service. Along the way he coached Little League baseball in the old Biloxi Southern League along Back Bay and coached his four sons, Kenny Jr., Tommy, Barry and Pat. His oldest son, Kenny Jr., prepped at Notre Dame High School before playing quarterback at Ole Miss. He said his father was special and loved by all. When it came to supporting his kids in sports, there was none better. "We all signed football or basketball scholarships," Lyons Jr. said. "When I was a kid, he was a football official and I remember going to games with him until I was 10. "When I was a junior at Notre Dame, I threw for almost 500 yards against Picayune. He had to miss that game due to an officials' meeting. He gave up officiating to be a part of my senior season and the rest of my brothers' high school careers." Barry Lyons played college baseball at Delta State and with the New York Mets. Tommy Lyons pitched at Ole Miss. Outside of coaching Little League baseball and delivering the mail, Lyons loved to visit Mary Mahoney's restaurant in Biloxi. "When he got off work, he loved going down there to celebrate the day," Lyons Jr. said. "He was involved with all four of us, but baseball was the only game he coached us in. Dad was outgoing and loved to have a good time. He knew everybody in town - he was everyone's favorite mailman. He was dedicated to his sons, not just on the field. "He will be missed. He had been in a nursing home with Alzheimer's since Hurricane Katrina. He fought a long battle, but there was no escaping Alzheimer's. Dad was one of a kind." And he loved to fish. "He loved to fish Chandeleur every chance he got," Lyons Jr. said. "Some of his fishing buddies were Larry Manuel, Stanley Dellenger, Errol Bradley and Harold Catchot, to name a few. He really loved his fishing." Children: Robert G. Lyons Jr. m. Patti Gene Parker, Maria Lynn Sekul and Donna Frances Pizzetta Schmermund; Jerry Lyons; Wayne Lyons; Kathy Lyons m. Kevin Coggin; and Julie Lyons m. Greg Williams. The Biloxi Daily Herald, “South Mississippi-Mississippi City [Louise M. Lyons death]”, February 4, 1905, p. 8. The Daily Herald, “Mrs. [Adelaide Peresich] Lyons dies”, March 27, 1943, p. 7. The Daily Herald, “John C. Lyons dies”, November 7, 1950, p. 12. The Daily Herald, “[Matt]Lyons sentenced after no contest”, June 7, 1979, p. A1. The Jackson County Times, “Captain Jos. Lyons killed in action”, March 10, 1945. The Sun Herald, 'Joy B. Lyons', December 1982. The Sun Herald, "Clarence ‘Zeke’ Stewart", January 9, 1995, p. A2. The Sun Herald, "John Lyons Sr.", November 2, 1996, p. A2. The Sun Herald, "Lucy Martino Lyons", May 23, 1997, p. A2. The Sun Herald, "Marie Stewart", July 1, 1998, p. A9. The Sun Herald, "Matthew Peresich Lyons", June 25, 1999, p. A13. The Sun Herald, "Margaret Germaine Sablich Lyons", May 18, 2007. The Sun Herald, "Mary Ella Huth Lyons", June 6, 2007. The Sun Herald, "Kenneth J. Lyons Sr.", October 3, 2008. The Sun Herald, "He led Biloxi sports family-Kenneth Lyons Sr.", October 4, 2008, p. A8. The Sun Herald, "Patricia 'Patsy' Lyons", January 16, 2015, p. A-5. The Sun Herald, 'William Lyons', October 13, 2015. The Sun Herald, 'William Lyons', October 14, 2015. The Times-Picayune, “[John] Hosch”, May 30, 1968, p. 25. The Times-Picayune, “Miss. victims [Emma Lyons Hosch]of Camille listed”, September 9, 1969, p. 16.